The Neighborhood Bike Works is a local Philadelphia organization with several outposts in Philadelphia. The mission of the organization is to teach kids how to fix bikes. In the learning process, there's an earning process - kids "earn" a bike by attending the program. Other learning skills are at work too, social skills, mechanical, fitness and camaraderie. As an avid and long time cyclist, I support and advocate any program that will promote biking for people, especially children and show them the joys and freedom of bicycling. I started riding a bike when I was six years old and until I learned to drive at the ripe age of 42, my bicycle was my only mode of personal transportation. It's still my preferred mode by which to commute and of course, I try to get my exercise and training in by cycling every day, biking upwards of 60 to 100 miles a week in the riding season. Neighborhood Bike Works is gearing up for another Summer Bike Camp! We use kids’ natural love of bikes to teach practical life skills, mechanics, environmental and social awareness, fitness and nutrition. This summer marks the 10th year of our Summer Camp at 40th Street; in addition, for the first time, we are offering Summer Bike Camp at our North Philly site. We hope to offer the valuable experience of Bike Camp to 72 campers this year, but we need your help to do it! In addition to our Earn-a-Bike curriculum, we take campers on field trips designed to show them the positive educational and recreational opportunities in their neighborhoods; the bonus is they learn how to get to all these destinations by bike. We also provide breakfast and lunch for all campers, every day. For $25, you give a child a bike helmet and a lock for a bike. $75 will sponsor field trips for a camp season. $225 will send a kid to camp for half a day for a whole season; $450 will send a kid to camp for a full day all season. All kids will be fed breakfast and lunch, every day. Biking and food - it's The Bicycle Chef's ideal charity! Neighborhood Bike Works is in need, The City of Philadelphia is in need, and the kids of Philly are most in need. I'm asking readers of this blog to make a contribution to their summer camp fund in the hopes that we can send a kid to camp for a full day all season long. Any amount is always appreciated, even $5 will make a difference. Helping to send kids to camp is an ideal way to pay it forward. When I was a kid, I spent three summers at "the poor kids' camp". Two years were at a camp in Downingtown, Pennsylvania, down the road from a prison! The camp was a girls camp, for girls from single-parent homes. It was run by the Legionnaires, and cost families at most, $20 to send their daughters to camp for 2 weeks each summer. We were given clothes to wear, bunks in which to sleep, blankets and all the other essentials for our camp duration. We learned to swim, make "gimp", "god's eyes" and other crafts. It was an okay camp, clean, with friendly staffers, but even at the age of 8 and 9, I knew that we were poor kids from broken homes. 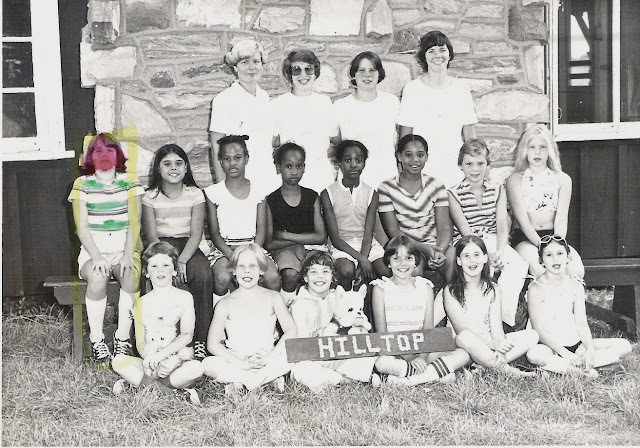 When I was 10, in 1977, I went to a different camp, a bigger camp for boys and girls, but still for kids from single-parent homes, who were also on the economic margin of society. This was a much better camp, we brought our own clothes, the activities were more fun, the camping trips were elaborate, the pool was bigger and the sports program was very thorough. I learned archery that year and shot several bulls-eyes in my early tries. Still, my camping experience was somewhat lacking. I didn't form that camp-bond on which so many people wax poetically. I wasn't interested in going back to camp after that year. I didn't make many friends and some of the girls were really tough! I did learn to swim and I developed a love of nature, birds and the wild outdoors of Pennsylvania. More importantly though, I did get to go to camp for three summers of my life, thanks to the donations of churches, Armed Forces Veterans and whatever other generous supporters there were back then making sure that under-privileged kids like me would have the chance to get out of the city and into the woods. My camp memories have lasted my entire life. Just thinking about my experience and wanting to help other kids makes me get a little weepy. Liz just said it's because I see things with the experience of being a mom and not through the eyes of the child I was. I guess that's true. Another true thing is that I think it's important that kids know that there they can do more with their lives if they are given a chance. Having a bicycle is one way to get a kid out of a neighborhood and explore the world one mile at a time. Make a contribution to send a kid to camp, learn to fix a bike, earn a bike and learn valuable social skills. http://www.neighborhoodbikeworks.org/campership/ When you make a contribution, let me know - leave a comment here, send me a message or write on The Bicycle Chef's Facebook page. By banding together, our contributions will add up to a lot. Thanks!